Our 3-acre facility houses over 4,000 square feet of stone in-stock, with 35 years of experience under our belts...but the number we're proudest of? One-on-one service! Stop by and visit us today to get expert advice about your next landscape design project. With your input, our innovative design staff will transform your property into a natural extension of your home. 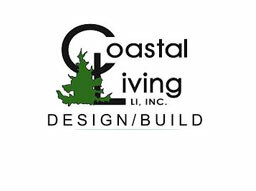 Enhancing the beauty and value of your home through the creation of dramatic spaces for recreation, entertaining or just relaxing is what Coastal Living is all about. We are here to provide you with options to save money, properly maintain trees, enhance the value of your home, and reduce insurance rates and physical injuries. Ascent Luxury Transportation provides chauffeured luxury transportation for corporate and leisure life. The mature charm of old England is magnificently stated in exterior details of your Somerset Village's 271 residences. Rough-hewn timbers, warm brick and stone blend with creamy stucco to capture the look of a bygone era. Authentic design extends to copper roofs adorning your entry, airy bow windows and lantern windows which accent end walls of the buildings. Tall, stately gables reflect Tudor times. Lush grassy expanses recall an English greensward. There are immense landscaped malls dotted by mini parks with benches for your relaxation. A playground is available for youngsters, adjacent to night-lighted tennis courts. The newest of conveniences, roominess, and gracious comfort abound in your residence. Every apartment is designed with meticulous attention to features that provide home-like living with care-free efficiency. Your residence is free of traffic noise as you would expect in a luxury community. Buildings are well set back from the roads. Quiet paved walks, rather than driveways, curve in and around Somerset Village's 17 acres where buildings occupy only a fifth of the property. The tone throughout is airy quiet and peaceful. Parking for your car is close to your door. A professional maintenance staff provides 24-hour emergency services. At Liberty Properties, we take pride in providing our customers a good, clean place to live. Whether you are looking to buy, rent or sell, give us a call and we will be happy to go over your needs. Schnader's legal experience is divided into three distinct departments. The Litigation Services Department regularly handles a high volume of trial and appellate matters and provides the resources to negotiate and achieve cost-effective settlements and, where necessary, achieve favorable litigation results. Our Business Services Department knowledgeably counsels publicly-held and privately-owned firms through the many stages of commercial enterprise, and the Trust and Estates Department translates the complicated laws of trust and estate planning and administration into valuable guidance and informed decision-making. For additional information on the practice area that most directly corresponds to your legal needs, please contact us. The Child Life Society is looking for people and/or companies to join their team to help make a difference in the lives of those with Cystic Fibrosis! For more information please email me via mrosen@childlifesociety.org or message me on here. Together we can make a difference in the lives of those with Cystic Fibrosis! Education – Teachers, School Clubs, PTA & PTO, Athletics. Construction - Work Uniforms, Safety Gear, Sales Promotional Apparel and Giveaways. Legal Professionals - Marketing Plans, Service Advertisement Items and Special Events. Real Estate - Event Announcement Items, Image Branding and Word of Mouth Advertising Stimulants. We can work within your existing marketing budget or assist you in creating one. Our goal is to brand a positive image of your business, organization, school or personal event in the minds of consumers and friends. Contact us now! Stage 2 provides our clients with a robust suite of products that include Cloud Voice, SIP, Unified Communications (UC), internet connectivity and MPLS. Our suite of custom, on-demand voice and data solutions is scalable enough to provide you with an integrated and futuristic communications system. Our solutions are designed to fit your specific needs by a dedicated team of the best voice experts in the universe. Specialties: Telecommunications, VoIP, Cloud Communications, Internet, UC, MPLS, Call Center, Call Reporting, CRM, Polycom, WAN, Hosted PBX, Cloud Solutions. Providing executive transportation for business travelers nationwide, we are located in the DFW metroplex. We move folks with skill and grace! Parlour A Hair Studio is a professional hair studio operated by a Master Stylist/Cosmetology Educator with both barbering and high-end salon experience. Walk-ins welcome, appointments recommended. Need an appointment time that doesn't fall under normal business hours? Please contact Parlour for accommodations. We never compromise on quality. We offer a superior value for the services rendered. Always be assured that our vehicles are fully maintained as well as frequently inspected for dependability in addition to safety. Feel confident selecting one of our late-model sedans, a contemporary luxury SUV, or an executive Mercedes Sprinter for the utmost in transportation elegance, convenience, and amenities. You can always count on a highly professional look for any occasion. Book your trip today!